Acclaimed director Franco Zeffirelli and an all-star cast come together to deliver a powerful adaptation of the Gospels in 1977’s Jesus Of Nazareth. 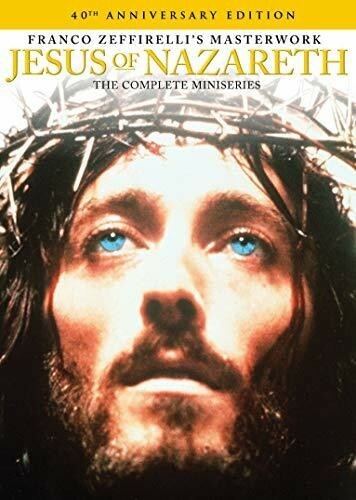 From the Nativity to the Crucifixion and Resurrection, the life of Jesus (played by Robert Powell) is presented with stunning depth, gravity, and emotion. Acclaimed by critics and viewers alike, Jesus Of Nazareth remains one of the finest depictions of the story of Christ nearly forty years after its release.